Fellows International are proud and excited to unveil our new, re-branded website. Following our recent acquisition by the Optima Group, we have engaged our partners at Jellyfish Livewire to create a new look for the Fellows website that fits the new Fellows brand and commercial offerings. With this in mind we have embodied our new brand identity right across the website and have updated its content to suit. Our website now includes up-to-date information outlining our capability, as well as our company goals and ambitions. To keep the site relevant we will be regularly updating it with case studies and new reports relevant to the work conducted by Fellows. The PDS is the first step in determining UXO risk at a potential development or construction site and is in keeping with the guidance offered in CIRIA Report C681. 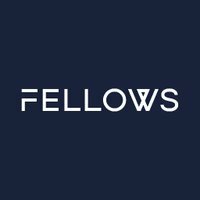 The new Fellows website is intended to be a helpful source of information for both our current, and future clients.